The cost of printing and distribution combined with minimal or non-existent sales always made fanzines a marginal proposition. But the format, if not the medium, is still popular with those seeking to try their paws at publishing. Tag by Felix Greypaw and Hashiko Whitepaw offers an example of what you can do in just a few days; the first – so far only – issue was published May 16, including in-depth (and, alas, uncredited) articles about Dust: An Elysian Tail, Furcadia, and Wolf's Rain from Wikipedia, as well as furry-themed horoscopes and art. Furry N' Fuzzy Magazine has made it to two issues, although it's overdue for the third. Featuring artists, t-shirt reviews, interviews, personal histories, the syndicated column Ask Papabear, photos of things that look furry, and copious ads, there's something for everyone. Given that Furry N' Fuzzy has apparently disabled their FA userpage, that casts some serious doubt on future issues. You know, I thought that was weird, too, but it seems to be a habit of the owner, Furious Furry. It could also be that they did it after one of their previous projects under the Furry N' Fuzzy name petered out, and they forgot to re-enable it. Is there's any new issue published since then? 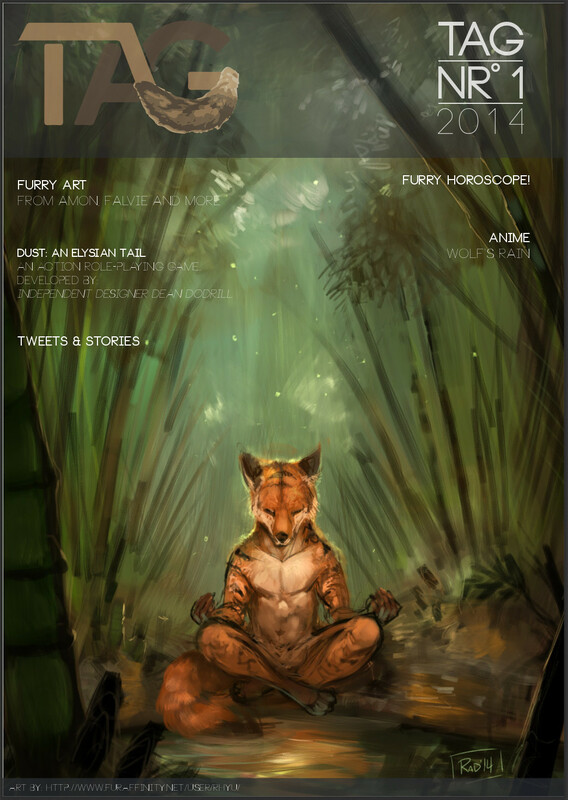 Neither the tag editor's Google+ page nor the Furry N' Fuzzy FA journal list new issues.